Geo-Solutions Inc. is a specialty geo-environmental/geotechnical contractor founded by construction minded individuals with technical backgrounds. The senior managers of Geo-Solutions have been in the forefront of numerous construction technologies including soil mixing, jet grouting, slurry walls, biopolymer collection trenches, and other grouting services. The senior managers have over 200 years of combined experience in the specialty construction industry and have worked for a range of clients including those in both the public and private sector. From our roots in 1979, Geo-Solutions has evolved from being a specialty geotechnical contractor into one of the leading environmental construction contractors in the industry. That expansion of services was made possible by the transfer of our geotechnical capabilities into new applications. However, we have continued to innovate and successfully sustain our roots in the civil geotechnical industry. Many of our specialized environmental construction technologies, including shallow and deep soil mixing for in situ fixation or stabilization and permeable reactive groundwater treatment barriers using slurry wall techniques, were derived from our previous experience with civil geotechnical projects. By design, we have invested our time and financial resources towards the development of equipment and processes that advance the science of our specialized technologies. Geo-Solutions has a team of experienced managerial, technical and field personnel to provide specialty construction services. The staff members have extensive educational and practical backgrounds in environmental sciences, engineering and construction activities. Geo-Solutions also remains at the forefront of providing and applying innovative geotechnical and environmental expertise and continues to seek out and implement new technologies. 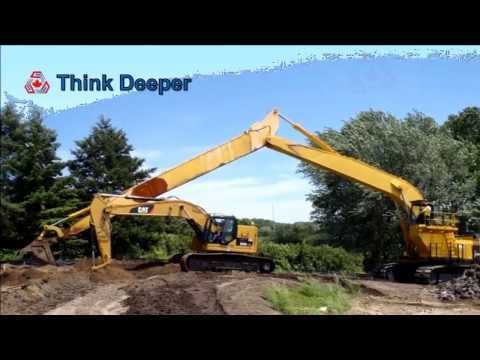 Our construction experience and capabilities are focused today in three service areas: environmental remediation, geotechnical construction and wetlands mitigation, enhancement and restoration. Geo-Solutions can perform in these service areas as a general contractor, a specialty trade contractor, or in a design/build capacity. We remain flexible to meet the needs of our clients nationwide. Geo-Solutions&apos; corporate headquarters is in New Kensington, Pennsylvania. Regional offices are located in Florida and Colorado. Geo-Solutions has successfully completed over 1,500 projects throughout the United States, Canada, Brazil, Japan, Ireland and Australia.